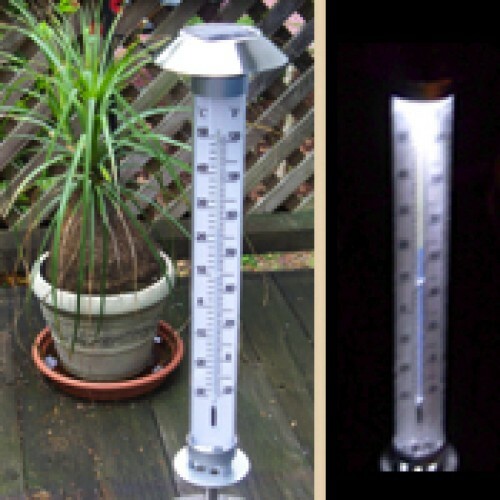 ﻿ Solar Thermometer - 46"
A sun powered outdoor thermometer. Recharges by solar panels under sunlight. 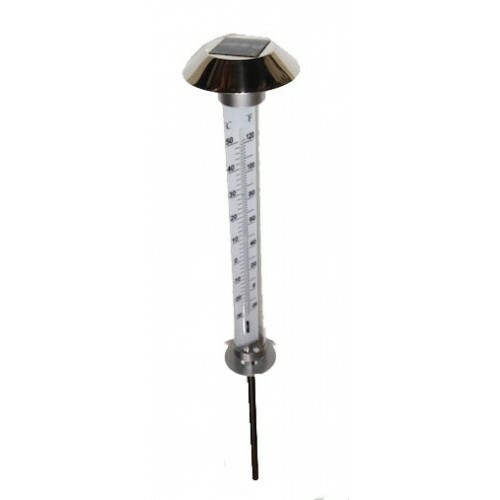 The 22inch x 6inch diameter gauge will light up automatically at night powered by the bright LED bulb. The bulb produces no heat keeping the gauge accurate. Gauge is marked in both Farenheit and Celcius. Comes with a 24 inch pole that screws into base of the thermometer. Has an on-off switch for when the thermometer is not needed. 46 inch including base.